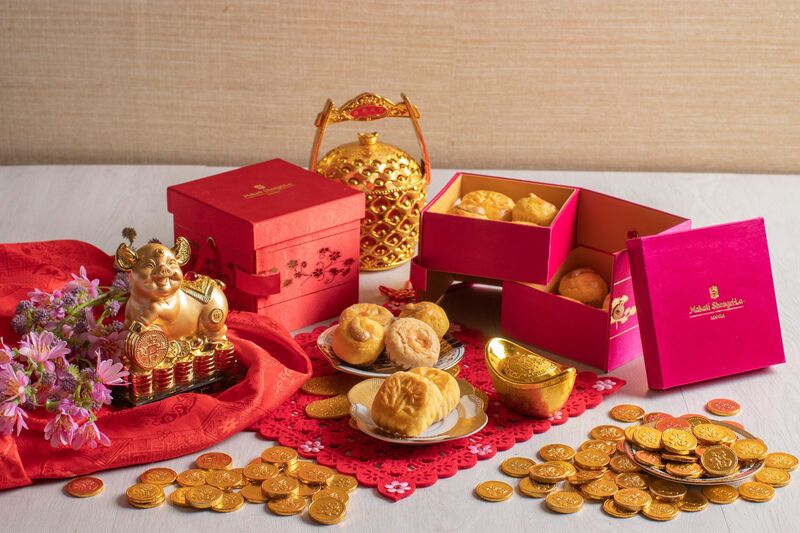 Guests can bring home good luck and prosperity with Shang Palace’s signature Nian Gao, more commonly known as Tikoy, a well-loved Chinese delicacy that symbolizes luck and prosperity in the coming Lunar New Year. These freshly made treats are available in the following flavors: Traditional, Mango and the new flavor, Almond. The signature Nian Gao comes individually wrapped in exquisite gift boxes. A one-piece Prosperity Fish is priced at Php 1,888 net and a two-piece Happiness Fish is at Php 2,888 net. Guests may also bring home other classic treats and sweets, such as the 8-piece Longevity Cookies, available in walnut and ube flavor. Warm wishes can be sent through the Abundance Basket, a basket full of goodies made personal by giving the guests the option to choose the contents from an array of items available at Shang Palace’s boutique. Dine in and celebrate with the whole family at Shang Palace's authentic Cantonese dining offers. For lunch on February 4, there will be a regular Dim Sum Plus. For lunch on February 5, there will be a Festive Dim Sum Plus feast. For dinner on both days, a special Chinese New Year set menu is prepared to celebrate this season. The Gold menu is priced at PHP2,888++, the Jade menu is priced at PHP3,888++ and the Diamond menu is priced at PHP6,688++. A roaring lion and dragon dance and firecracker ceremony also awaits at the lobby driveway on Chinese New Year Day at 12:30 p.m.